For CBD lovers of Gipsy Kitchen, your prayers have been answered. The Gipsy has taken up a spot in Jessie street opposite the Il Casino apartments, operating daytimes til 3pm. The very groovy exterior sets the tone from the get-go, continuing inside with luxurious wall panelling, funky decorations, and plenty of quirk. The food is the quality we know and love from Gipsy, ranging from pastries to salads, to quiches, to lunch rolls, pies and sweets. And they have their heavenly (vegan) seed bread available for takeaway too. I haven’t had a rhubarb scone fix for a while, but alas there were none, so I settled for bread and butter pudding for breakfast instead. Soft, moist and flavourful, I was sorry when it was gone. 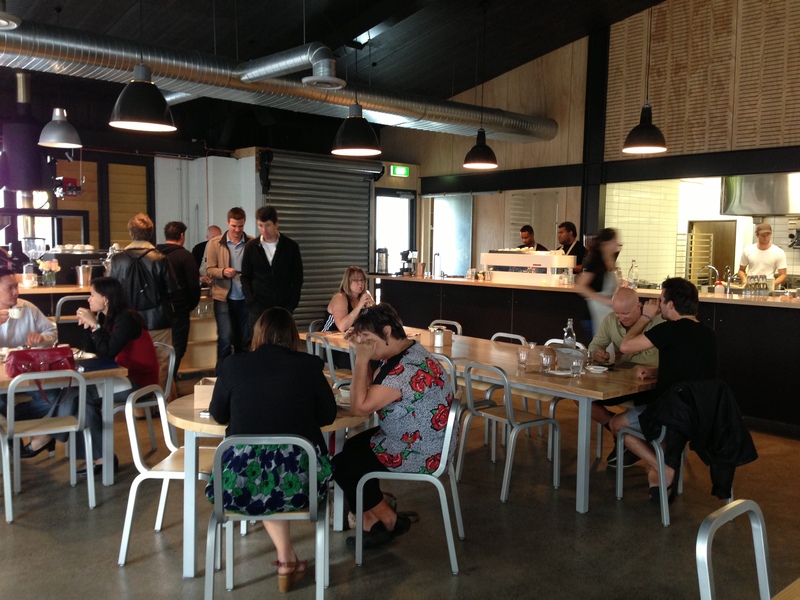 We didn’t have coffee on this visit, but there was a steady stream of locals popping in for theirs, so we take that as a good sign (especially with Prefab, L’affare and Moore Wilson all within a stones throw). The herbal teas we did enjoy were nicely presented and real, not teabags. There’s only seating for about 12, so either pick your time or be prepared to take away. And do have a wee peek in the fridge of deli products available too. They utilise a wood fired oven, and say the may well run into evenings as summer appears. Further to my previous post about Prefab, I’ve now been three times and do recommend a visit if you’re in the neighbourhood. The only disappointment was three strike-outs on the brioche, blueberry and ricotta dish I’d spied on the menu the first time (and might have had a little salivary anticipation of). The first time (1pm on a Saturday) there was none available, the second time (7.30am on a weekday) the brioche wasn’t ready yet, and the third time (10am on a Saturday) it was gone from the menu. 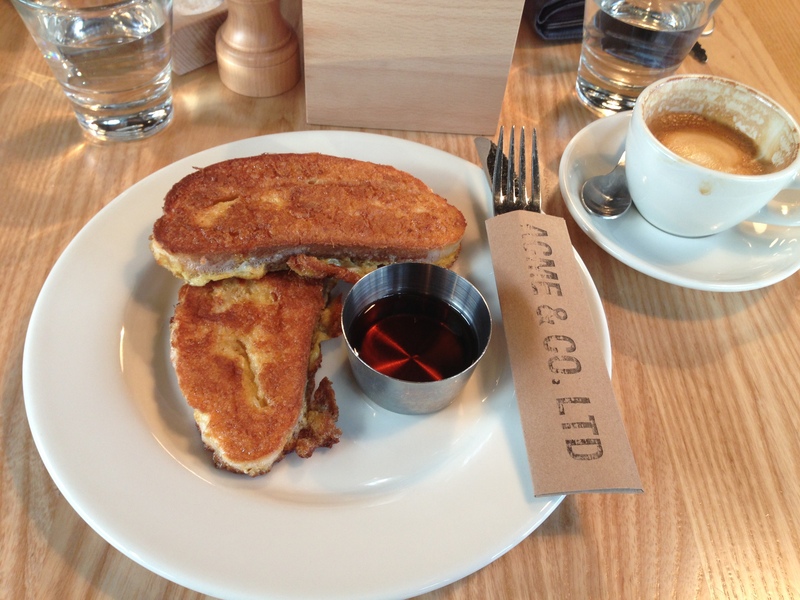 So french toast it was (and very pleasant too I might add). As previously noted, there’s no frilly or fussy here, just simple and sincere in a friendly environment. For $10, I expected one piece, so two (which I could hardly eat all of) was extremely good value for money. Soft on the inside, crispy on the outside – perfectly done (in my humble opinion!). I did have coffee this time, and enjoyed its smoothness, with him indoors noting an almost citrus tone to his long black (which pleased). He also noted the details that make an interesting place – the funkiness of the main central ceiling fan (you’ll have to go looksee for yourself), the thick serviettes and teaspoons, and all the wait girls being very well groomed with matching red lippie. Followed by some musings about price points and cost models (as you do over breakfast!). Do check out the bathrooms too when you visit. Nicely done, and (more importantly) a good indication of the overall standards of a place. Prefab is the latest venture of Jeff Kennedy and Bridget Dunn (ex Cafe L’Affare), and at its heart aims to provide a place for ‘community’ both in location and attitude. As previously reported in the local media, there are few other well-experienced Wellington hospo people along on this venture – Rob Wilkinson (formerly Capitol), Jonathan England (formerly Two Rooms, Miramar) and various former L’Affare staff. Prefab has a long open counter/kitchen, with coffee roasting at one side of the cafe (under the Acme brand) and a bakery at the other side (where you can buy your daily bread – check out the snake and heart breads below!). The feel of the cafe is a little school cafeteria, with a mix of individual and sharing tables, all supporting the ‘community’ feel. Being a busy time (1pm), and a singleton, I was placed at the bar, which proved a good spot to watch all the industry going on. The food is all menu/wait-served, and ranges from traditional breakfast (muesli and yoghurt) to the slightly different (Berlin brekkie of fresh bread, cheese, tomato, meats, jam and egg), and progresses through the day with a number of sandwich (hot and cold) options, and a range of salads and more substantial meals. 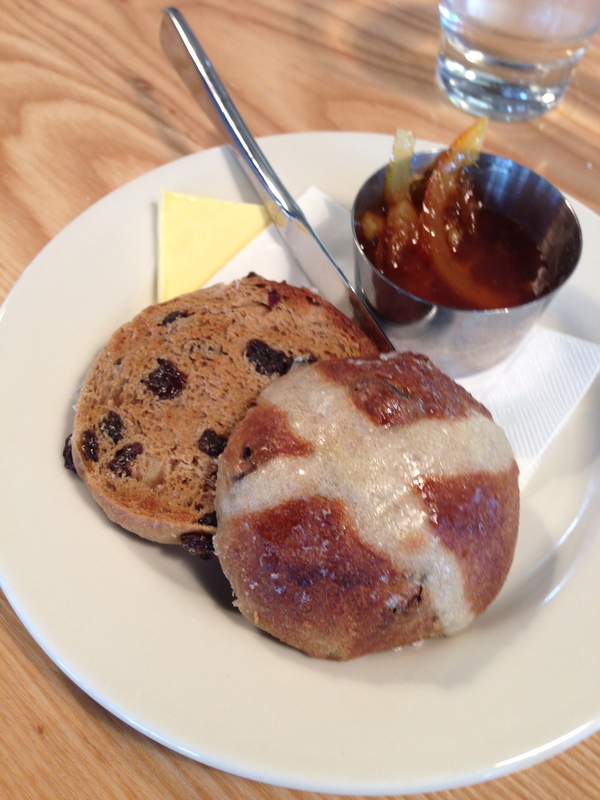 On my quick stop today I only had room for a small sampling, so I enjoyed a house-made Easter bun (light, spicy and nicely glazed) with preserved orange marmalade (very well balanced and not the usual bitterness marmalades tend to have), and eyed up all the other menu items to consider on return. I noticed my neighbour’s tomato and avocado on toast was just that – rustic and generous. There’s a strong focus on fresh and simple here, and nothing is above $20. So I shall definitely be back for a fuller experience to see if these initial positive impressions continue. And I will have a coffee to see how the new roast is developing. The only slight criticism today was waiting a fair time seated at the bar before anyone came to take an order or bring water. And then I was checked by three. It was 1pm lunchtime with a fairly packed house (they do hold a lot of people), so I won’t hold that against them for now.